Women's Wallet made with black microfiber material and bendable Hawaiian Koa wood. Trees engraved on the wallet. 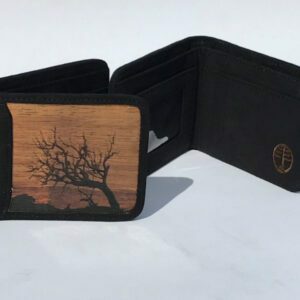 Women’s Wallet made with black microfiber material and bendable Hawaiian Koa wood.